The Retina Medica service deals with the diagnosis and treatment of retinal diseases, diseases of the bottom of the eye. The pathologies treated are divided into macular pathologies and retinal vasculopathies. 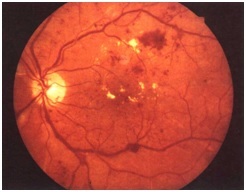 Maculopathies can be divided into hereditary, inflammatory and degenerative diseases such as Age-related Macular Degeneration, the most frequent cause of severe central visual acuity reduction in the population over 50 years of age (divided into “neovascular”, “wet” or “exudative” and “atrophic”, “dry” or “non-exudative”) and Pathological Myopia. The main retinal vasculopathies are Diabetic Retinopathy and Retinal Occlusions (Arterial and Venous Thrombosis).